I have prepared a detailed burr coffee grinder buying guide that will show you all the information required for you to be confident to purchase your coffee grinder. You will be armed with information to filter out the correct type of grinder you require, therefore saving loads of money.The article will help you not get lured into the salesperson tentacles of up sell to models that you may not need. You will naturally concluded that fresh is best, and you will see evidence that will reinforce why you need to buy a coffee grinder. This guide will give you a breakdown on a suitable coffee grinder for your use and align you with budget and will show you a low price entry level coffee grinder for those casual coffee drinkers. Buying a coffee grinder alone will significantly improving your coffee making experience and this how to make good coffee and you can start enjoying that absolutely amazing coffee flavour, intense coffee aroma filling your house when grinding fresh coffee and firing up that coffee passion once again. The main excuses I hear justifying why not to buy a coffee grinder are, they are too expensive, you can’t taste the difference, they are too loud, I have no room in the kitchen, I am using my wife’s spice grinder, I buy pre grounded coffee from the supermarket, or I don’t drink that much coffee. Does this sound like you?? I will show you how you can buy a coffee grinder without selling your house, evidence that buying the wrong coffee grinder can taint the coffee taste, why your coffee grinder deserves a space in your kitchen. How an entry level coffee grinder starting at $40 is better than buying pre ground coffee and it will also not hurt your pocket as a casual coffee drinker. Below is a list of what a coffee grinder is required to do when grinding your favourite coffee. A coffee grinder is the medium you use to covert a roasted coffee bean that contains about 800 flavour components including all the oils, all the origin flavours and all that beautiful aroma trapped inside the coffee bean into a grounded coffee powder without disturbing any element of that original coffee bean components. A coffee grinder ability to repeat the same process of grinding a roasted coffee bean into grounded coffee to the selected particle size required for your brew method so that you can replicate the same coffee drink experience. When using a coffee grinder as a medium to convert a roasted coffee bean into coffee grounds the importance is not to taint the taste or burn the coffee grounds. A coffee grinder needs to have measurable adjustments so you vary that coffee ground particle size to a finer setting or a coarser setting as required. A coffee grinder adjustment setting should be stable so you can be able to replicate that coffee ground particle size every time on that same setting with very small amounts of tolerance in particle size. STAY AWAY from Blade coffee grinders, a blade coffee grinder actually does the opposite to what I have just outlined above, it burns and taints the coffee, you can’t adjustment coffee grind size, you can’t repeat the same coffee grounds, therefore you can’t make a consistent coffee beverage and it makes a huge amount of noise.If you have one of these please stop using it and replace it straight away. Please spend $40 and you will enjoy this better than drinking tainted or burnt coffee. So from now on I will only talk about burr coffee grinders only, unless specified. There is a fundamental rule you should remember, it is the Triple 3 or the 3 3 3 rule. So the pre grounded coffee that you can buy breaks 2 of these fundamental rules already before you open the packaging. Coffee stocked in supermarkets is typically supplied from major coffee roaster companies. The coffee is mass produced and stored in warehouse for stock until required by a stockist. Once ordered they are shipped to the location and sit in loading docks until unpacked and put onto shelves. The coffee then sits on the shelves until a customer buys it and takes it home. The time frame from roasting to customer drinking it, is unknown. 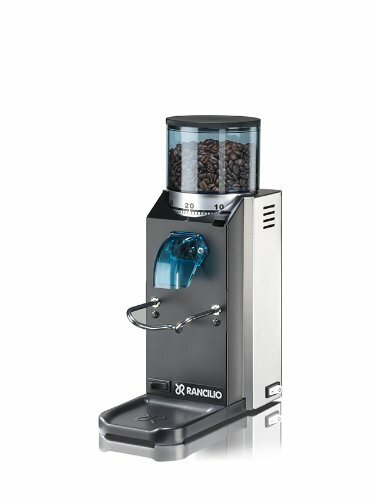 The important step first is to find the correct coffee grinder for the brew method you are using and in turn this will be a starting point for an appropriate budget for your needs. I don’t want to dive too deep into the technical and mambo jumbo stuff but as a basic guide for your average coffee user, the questions needs to be asked What brew methods are you using or going to use to make your coffee with? Starting from the top of the list above requires a more coarse coffee grounds and getting finer as we go down the list until we reach the bottom were the coffee grounds are similar to a flour powder state. The most common methods used around the home are the top 5 on the list. I would say a rule of thumb here is that you can start from the top as being the cheap end and getting more expensive as you get down the list and the bottom two being the most expensive coffee grinders. It depends on your coffee brew method, the finer the grinds that are required the more expensive or the more you should spend on a coffee grinder. Cost increases as ease of repeatability of coffee grounds and reduced heat transferred to the coffee grounds. Another factor to consider is are you going to change or upgrade your brew method apparatus, if so budget a little more now so that you can use it later on as well. Entry level coffee grinders which will cover the top 3 of the brew methods outline above is between $40 To $200 . Moving down the list to 4 and 5 I recommend spending at least $ $200 To $400 . The last two on the list 6 and 7 has the biggest variation and it depends on numerous factors that can affect the price but a rough guide would be $500 To $2,000 . Blade design shape, eg.. flat or conical burr blade. Ability and ease of grinder blades removal for replacement. Material quality of metals used for the grinder blades. Use of ceramic material for grinder blades. The life of blade sharpness. Grove and spiral design to draw the coffee quickly and efficiently without burning. Movement within the grinder blades causing variation of grind size when grinding. How precise can you adjust the setting from coarse to fine. How long can you keep the adjustment setting stable or from moving while in use. Adjustment range how coarse and how fine can it go. Can the coffee bean hopper be removed while still containing the left over coffee beans? How easy and quickly can the coffee bean hopper can be removed. Quantity of coffee beans that can be stored in the hopper. Will the continual use heat up and burn or change the coffee grounds structure. An Espresso brew method used on a commercial grade machine require top end coffee grinders that require to do the same as required above but on a more frequently at greater speeds while being used all day every day as seen in cafés. Turkish brew methods requires a completely different coffee grinder altogether this coffee grinder needs to grind the coffee bean to a very fine state which requires a slow spinning motor that will not transfer the heat in the motor to the coffee grinds. The blades design is completely different as it can’t clog the blade teeth as it grinds taint the coffee grounds. As you can see that basically you can get a descent coffee now at a low price to start with and if you have more money to spend the better quality grinder you buy which in turn result in a better coffee and ease to use and clean.